J.P. Lewis is an Associate Professor of political science at the University of New Brunswick Saint John. He received a BA (Honours) from the University of Waterloo in 2002 and MAs in Political Science (2003) and History (2005) from the University of Guelph. 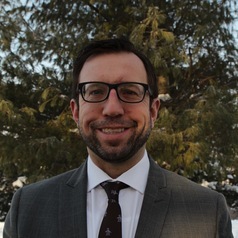 He obtained a PhD from Carleton University in 2011 where his dissertation was on the evolution of citizenship education in Canadian schools, with a focus on both policy development and implementation. The BlueprintHis major research interests are in cabinet government and citizenship education, with a focus on Canada. He teaches courses on Canadian government and politics, provincial politics, federalism, elections and political parties and Canadian politics and the media. He recently co-edited a book with Professor Joanna Everitt on federal conservative parties in Canada. The Blueprint: Conservative parties and their impact on Canadian politics is published by the University of Toronto Press.